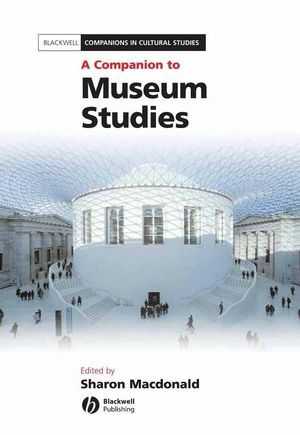 A Companion to Museum Studies captures the multidisciplinary approach to the study of the development, roles, and significance of museums in contemporary society. Sharon Macdonald is Professor of Social Anthropology at the University of Manchester. Her books include Theorizing Museums (edited with Gordon Fyfe, Blackwell 1996), Reimagining Culture (1997), The Politics of Display (ed., 1998), Behind the Scenes at the Science Museum (2002), and Exhibition Experiments (edited with Paul Basu, Blackwell 2007). Covers traditional subjects, such as space, display, buildings, objects and collecting, and more contemporary challenges such as visiting, commerce, community and experimental exhibition forms.